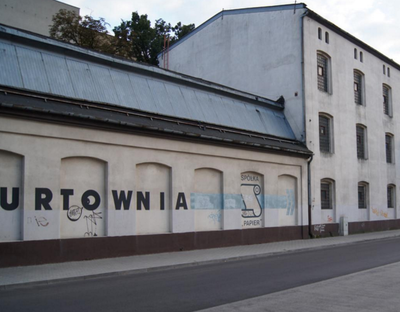 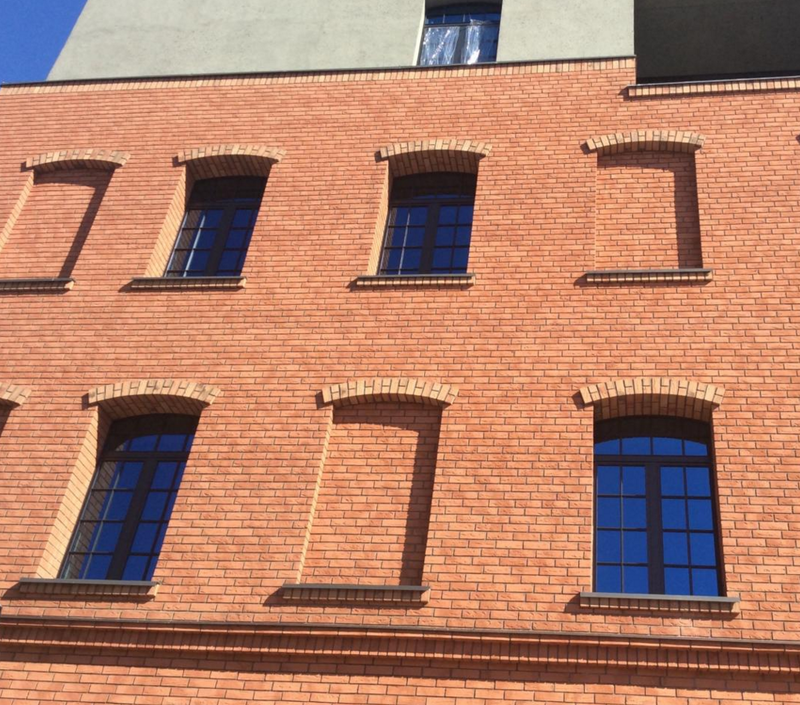 An unloved large building given a complete face lift and the impression it was originally built using traditional brick construction. 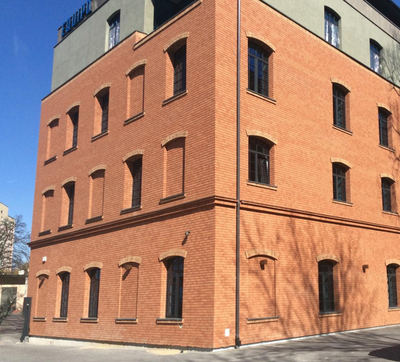 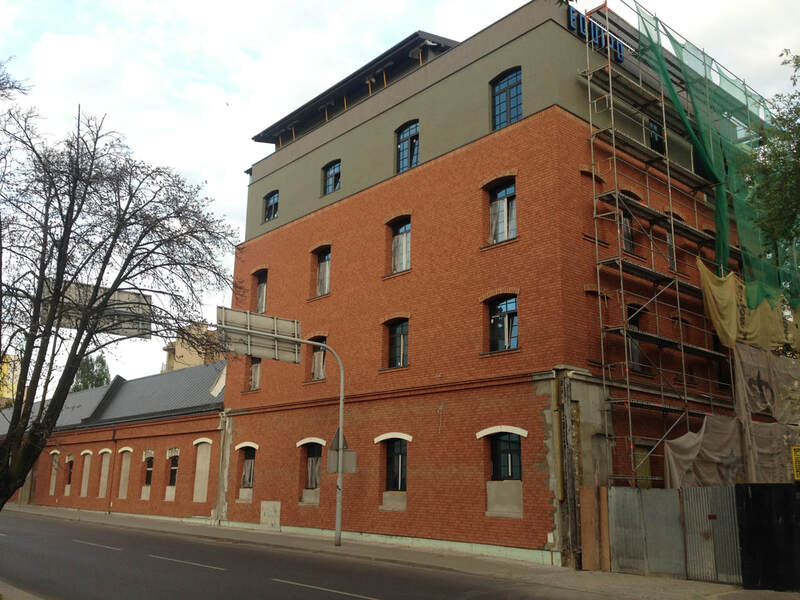 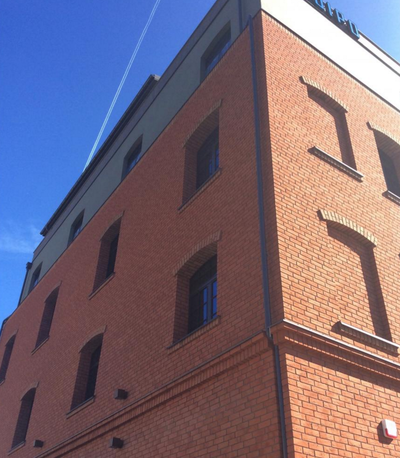 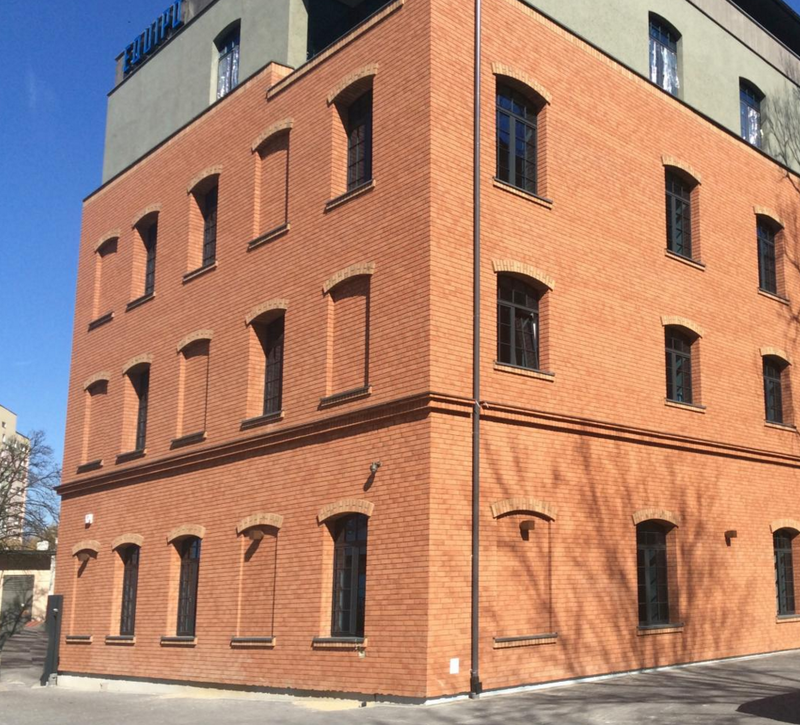 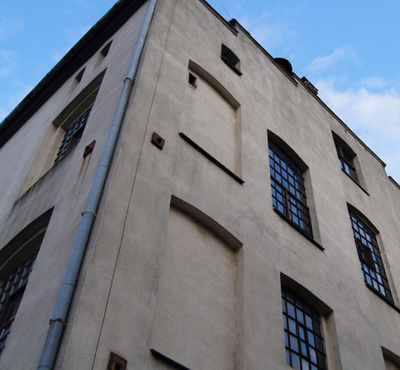 This large building was transformed from an unappealing rendered facade to appear to have been built using a traditional brick construction. 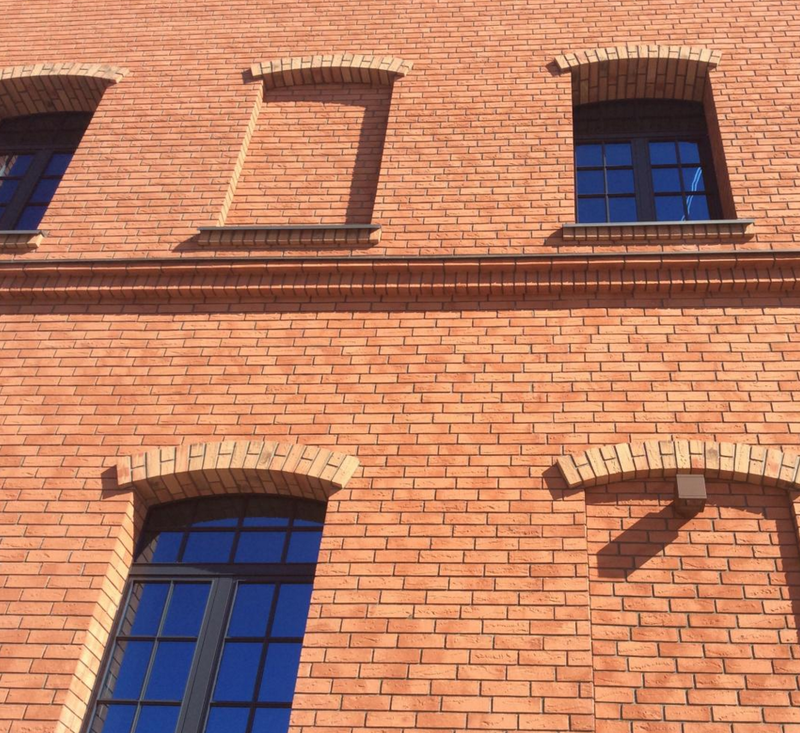 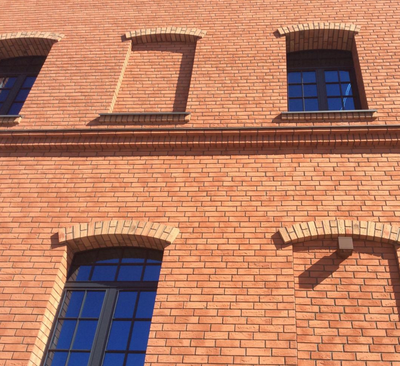 The use of bricks slips enables a building to be transformed both aesthetically and quickly. 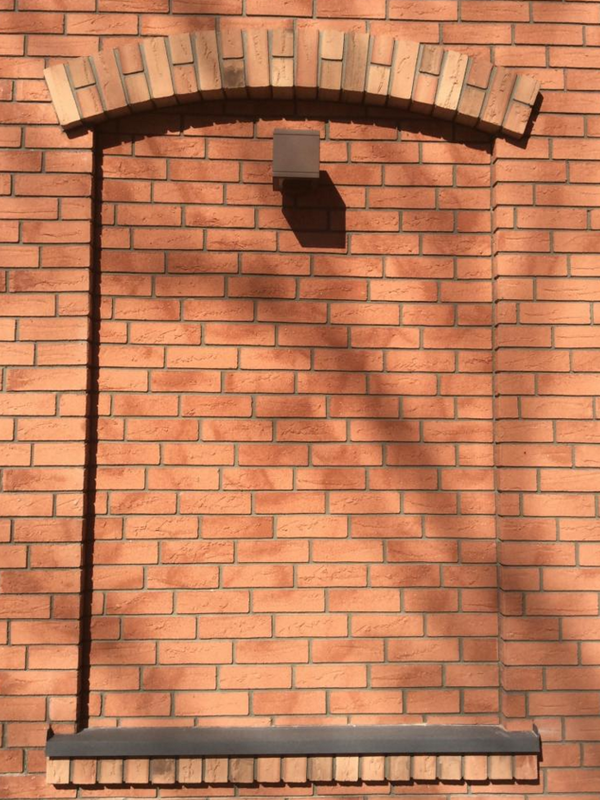 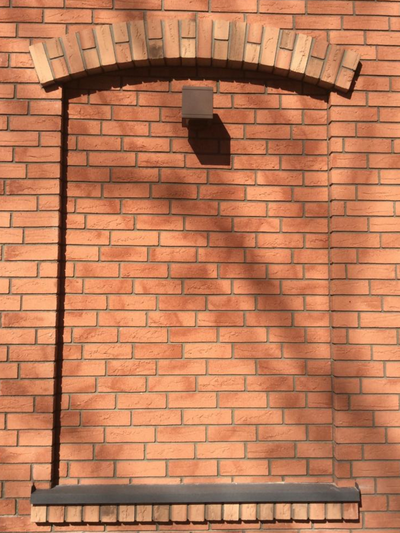 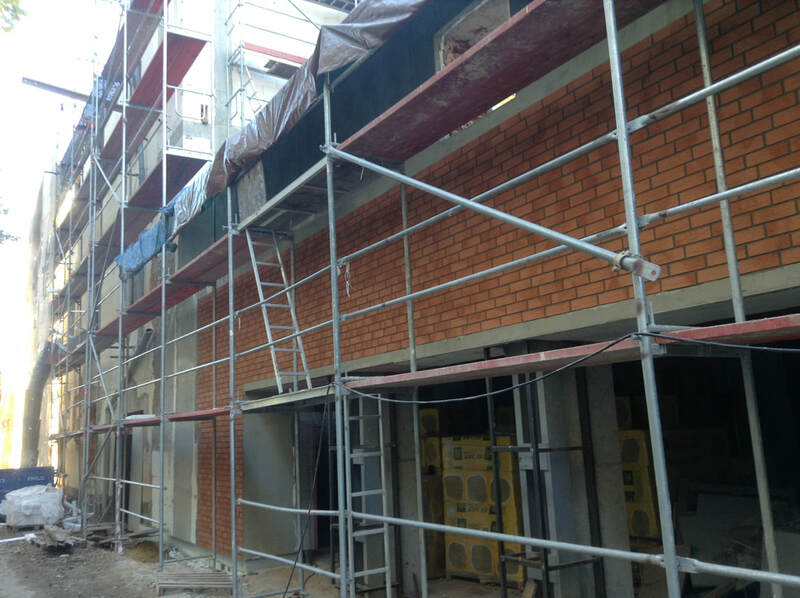 Brick slips can be used in any weather condition, are fast track and can be supplied in any colour configuration required whether to match to the surrounding buildings or for a bespoke look. 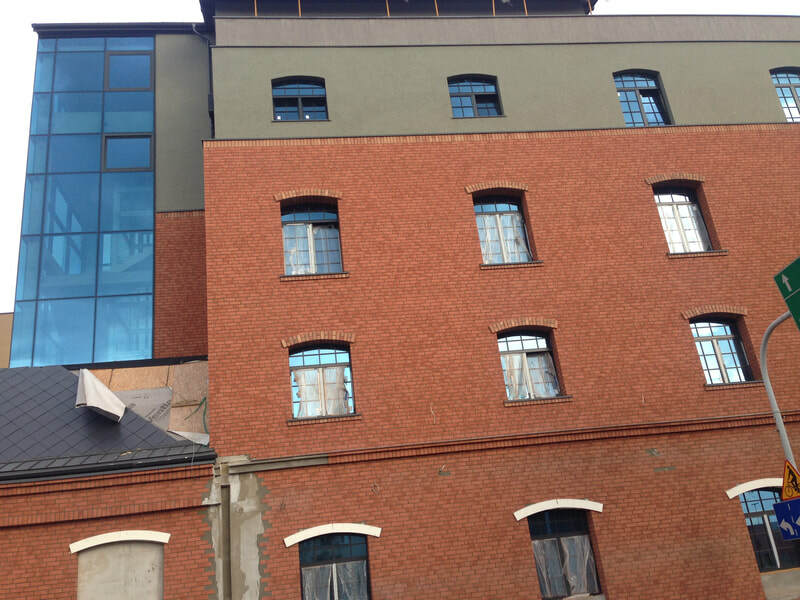 ​Any colour mortar can also be specified. 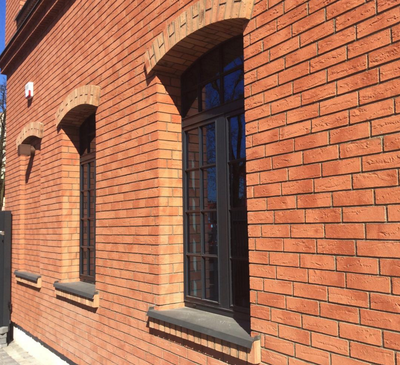 Headers to the windows have been added as well as brick slip specials to add detail where required.